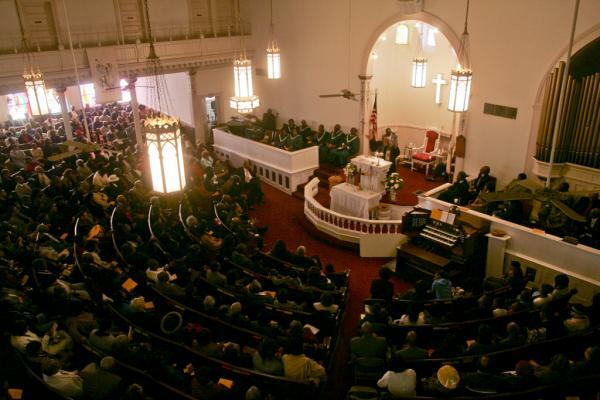 Asbury is a vital congregation of believers who refer to ourselves as family, and that family dates back to 1870 when a group of black Methodists purchased Andrew Chapel on Gwinnett Street and named it for Francis Asbury, the "founding father of the American Methodist Church." In 1927 the congregation moved from Gwinnett Street to our present location, 1201 Abercorn Street. You can read more about our church's history in the History tab. We have had many great leaders guide Asbury as senior pastor, and Rev. Doreen Smalls is currently taking on that role. You can read more about her in the Our Pastor tab.